Pezrok carries an array of Teak Root Home Decor items. Come in to see what we currently have in stock. Bring your friends and family to the mountains for a vacation they will never forget. Once featured in USA Today, Summit Lodge is a true mountain paradise on 3.84 acres. 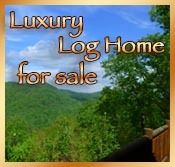 This outstanding 5 bedroom, custom built, cedar log home has a 180 degree awe inspiring view. The North Georgia Mountains have a wealth of beautiful, peaceful waterfalls, most within all within a casual walk, some you can even see from the road. All are worth a trip and a photograph. Caution: Keep in mind, waterfalls are beautiful, but they are not to be climbed on, they can be dangerous, people have been seriously injured and in some cases have lost their lives climbing on waterfalls, they are posted for a reason, so enjoy while you are there and take a photo home to remember.